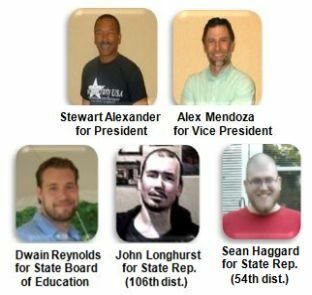 * In accordance with the ticket’s certified write-in status in Michigan’s 2012 General Election, all presidential write-in votes cast for “Stewart Alexander” will be officially counted as votes for the Alexander/Mendoza ticket. 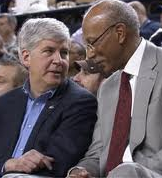 Therefore it is only necessary to write-in Stewart Alexander’s name on the Michigan ballot in order to cast a vote for the ticket and its certified slate of Michigan presidential electors. ** Due to the Michigan Secretary of State’s refusal to recognize the ballot status applicability of the Socialist Party of Michigan’s nomination certificates, the candidacies of Dwain Reynolds and John Longhurst will be listed on the Michigan ballot under the partisan label of the Green Party of Michigan whose dual party nomination they each additionally received. ● Repeal the “Emergency Manager” Dictatorship Law: Vote NO on Proposal One (12-1) (SPMI Statement). ● Defend Collective Bargaining Rights: Vote YES on Proposals Two and Four (12-2 & 12-4). ●Support Renewable Energy: Vote YES on Proposal Three (12-3). ● Oppose the Billionaire Fortune Preservation Scheme Amendments: Vote NO on Proposals Five and Six (12-5 & 12-6). Reject the Proposed City Charter Revisions! 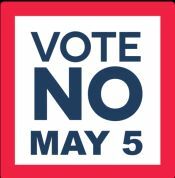 Vote NO on Proposal C! While incorporating a partial and significantly modified version of the city voter-approved 2009 ballot proposal establishing for election of City Council by district, the currently proposed Charter revisions would further extend such legislative district divisions to the composition of virtually all of the city’s (predominately mayoral-appointed) boards and commissions. The true aim of such extensive regional partitioning of the city’s executive branch is to facilitate the (Democratic Party-based) Bing mayoral regime’s overarching “Detroit Works Project” objectives, geared toward sub-dividing different sections of the city between those targeted for city-service-concentrated gentrification efforts and those targeted for further city-service diminution and neglect. Particularly when examined in light of the recently stripped away removal of municipal control over Detroit’s water department last September, as well as the recently renewed efforts of the Bing regime to establish full-scale privatization of the city lighting department by state region-wide electric power provider DTE Energy (on whose corporate board Bing long personally served), one can clearly discern that the overarching purpose of this new section is to provide greater backing and citable cover for the further expanded dispossession of Detroit city residents’ control over Detroit’s most valuable public assets and resources still remaining under municipal control. Given Bing’s repeated proclamations, during only the past week, on both the probable inevitability of Detroit’s impending placement under Emergency Manager rule by the state, and his own personally willing desire to accept the position of Detroit’s Emergency Manger if appointed (as earlier leaked reports suggest has already been pre-arranged between Bing and the Republican Snyder regime in Lansing), one can also quite reasonably infer that such proposed Charter revisions are intended to provide for some token pretext of continuity between the dictatorial actions imposed by Detroit’s likely forthcoming Emergency Manager and the directly preceding City Charter revisions approved by the people before the termination of elected municipal governance. In addition to the above new provisions proposed to be added to the City Charter, Proposal C also asks voters to approve the establishment of a new system of city-district elected “Community Advisory Councils” (CAC’s) to directly supplant the long-established duties and role of city-district elected Citizens’ District Councils (CDC’s) (to which the Socialist Party fielded an elected candidate in the most recently held election) and resultantly marginalize and inhibit their operational effectiveness. In spite of assigning all of the same functions held by CDC’s to the new CAC bodies, the proposed new Charter provisions contrastingly bar CAC’s from ever receiving any municipal funding, prescribe for CAC elections to take place at the same time that City Council elections are held, and further leave out the limited watchdog and community defense powers of the CDC’s, as established under state law (1945 P.A.344), including the right to delay implementation of proposed development projects, require information from any city department, and require City Council hearings to be held on proposed development projects of concern. The Proposal C charter revisions also remove the 2009 voter-approved change to allow for office-specific city wide election of the City Council President and Council President Pro-Tempore, and instead prescribe for the nine elected City Council members (composed of seven members elected by district and two elected at large) to select the holders of those two specified Council offices from among themselves. Since the City Council President temporarily assumes the office of city Mayor in the event of vacancy, this change would remove the 2009 ballot-approved right of city voters to determine which candidate shall stand eligible for mayoral succession. Other amending changes within Proposal C include eliminating the Charter’s formerly contained residency requirement for appointed city officers, as well as new amendments to the Planning and Development Department section of the Charter, geared toward redirecting the Department’s main objectives so as to: “provide the sup­port, assistance and conditions necessary to retain businesses,” “develop and implement a strategic plan and program focused on recruiting and supporting emerging in­dustries” (read further widening expansion of the city’s massive corporate welfare subsidies to big business) and further to: “create con­ditions supportive of global trade” (read race to the bottom for cheap labor and corporate deregulation) [emphasis added]. 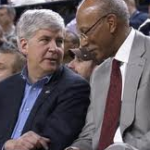 Taken together, Proposal C is simply the latest maneuver by the Bing-Snyder alliance to further sweep away all remaining obstacles standing in the way of the ongoing raid on Detroit’s public resources by both corporate party politicians’ true political constituency. Detroit’s working class population has nothing substantively beneficial to gain from this proposal and should resoundingly reject it at the polls on Tuesday November 8th.